Gibson Dunn | Percopo, Lissa M.
Lissa Percopo is Of Counsel in Gibson, Dunn & Crutcher’s Washington, D.C. office, where she is a member of the Firm’s Litigation Department. Recognized by Super Lawyers as a Washington, D.C. “Rising Star” 2014-2018, Ms. Percopo focuses her practice on securities litigation and has represented defendants in securities cases around the country. 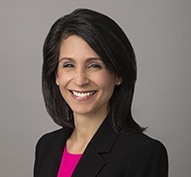 She has also represented clients in a variety of types of complex litigation, including class action, antitrust, contract dispute, and consumer fraud cases. Ms. Percopo has served on the Firm’s Associates’ Committee, and she currently serves on the D.C. Office’s Diversity and Pro Bono Committees. She joined the firm in 2007 after graduating with highest honors from the George Washington University Law School. While at George Washington, she was a member of the George Washington International Law Review, and was elected to Order of the Coif. Ms. Percopo has also been an Adjunct Professor at the George Washington University Law School, where she taught Legal Research & Writing and Introduction to Advocacy. She graduated from the University of Virginia in 2001, with a Bachelor of Arts degree in History. Ms. Percopo is a member of the bars of New York and the District of Columbia.